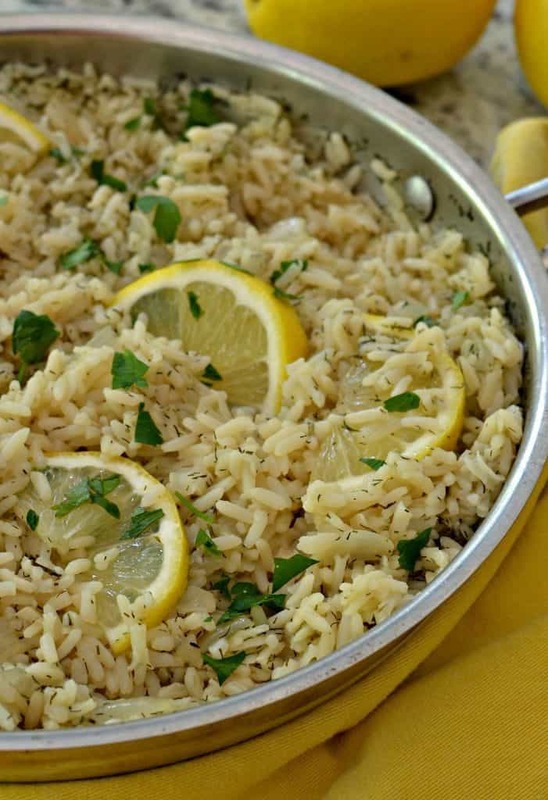 LEMON RICE IS LIGHTLY SEASONED WITH FRESH LEMON AND DILL. IT IS A QUICK EASY SIDE DISH THAT IS PERFECT WITH CHICKEN, FISH, STEAK AND SHRIMP. Looking for a change of pace from the standard cheesy pasta dish? 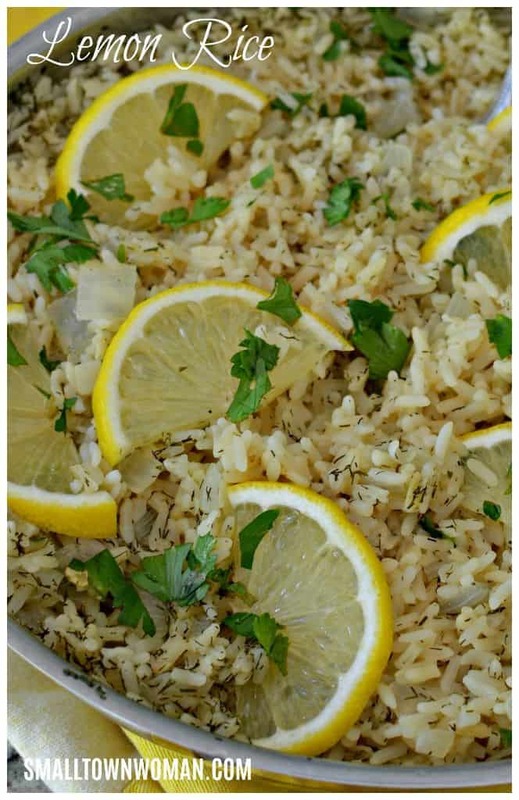 HOW TO MAKE LEMON RICE! First add olive oil to large skillet over medium heat and add onion. Cook for 2-3 minutes. Add rice and continue cooking for another 3-4 minutes or until lightly toasted stirring continuously. Pour in chicken broth, salt, dill weed and lemon juice. Bring to a low boil. Cover with tight fighting lid and turn to low and cook for 18-20 minutes. Remove from the heat and let sit 5 minutes still covered. Fluff with a fork. 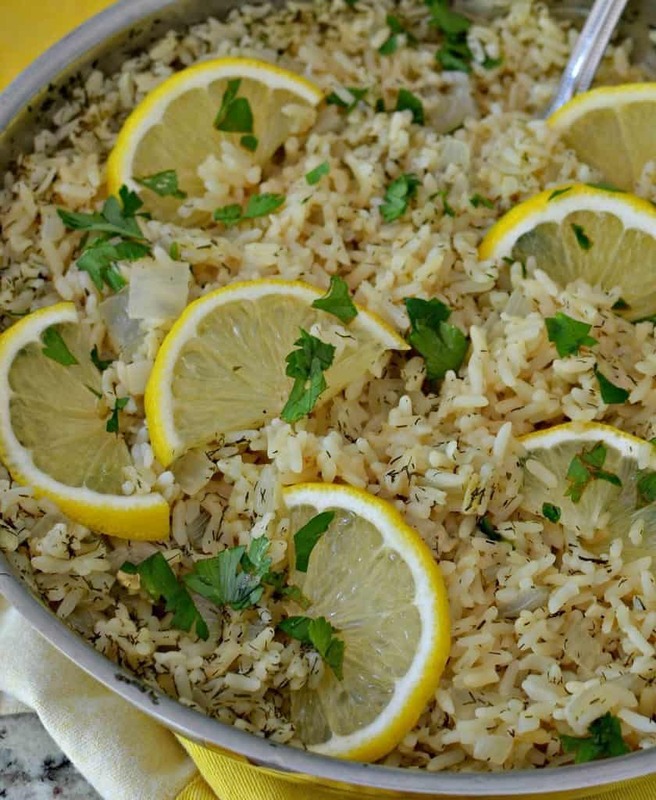 Garnish with lemon zest and fresh parsley. HELPFUL HINTS WHEN COOKING RICE. Always add salt to the water or chicken broth when cooking rice. Use a 2:1 water/rice ratio. After bringing water and rice to a boil cover with tight fitting lid and turn to a low simmer. Avoid stirring and lifting the lid. Cook for 18 minutes and then remove from heat covered. Leave set for 5 minutes and then fluff with a fork. 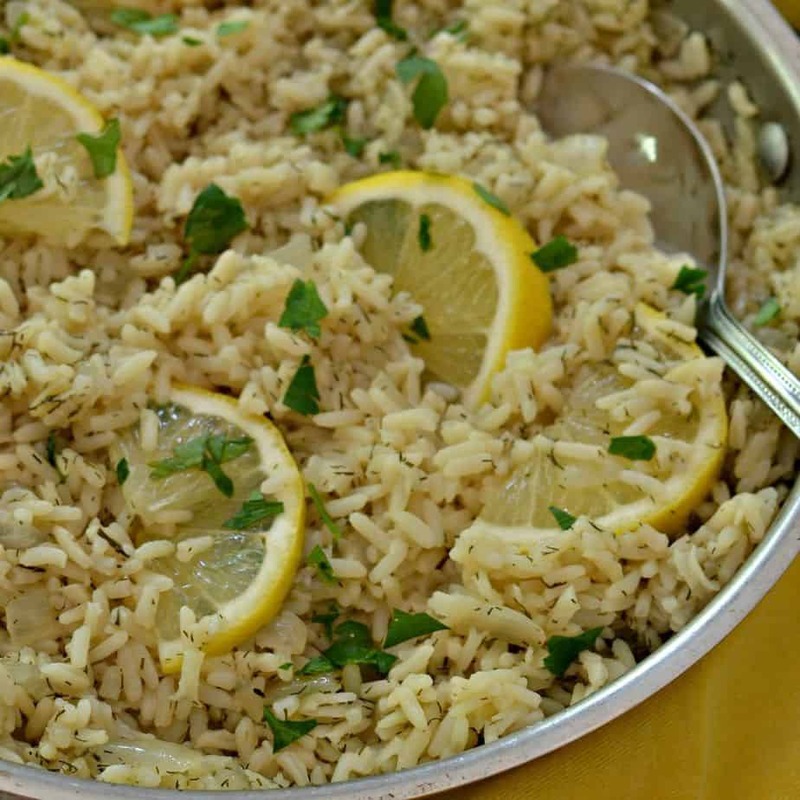 Lemon Rice is easy, dependable and prefect with any number of main course entries. Put the ingredients on your shopping list today and let me know what you think. CALLING ALL LEMON LOVERS! 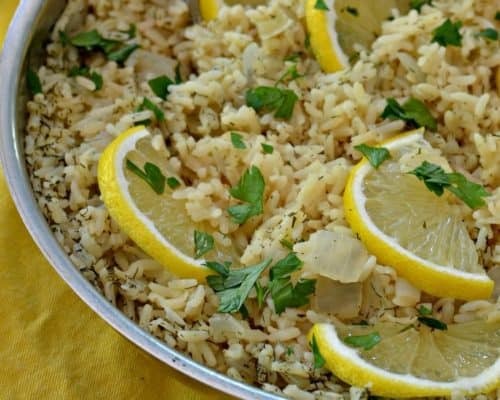 MORE LEMON RECIPES TO LOVE! Heat olive oil over medium heat in large saucepan. Add onion and cook for 2-3 minutes. Add rice and continue cooking for another 3-4 minutes or until lightly toasted stirring continuously. Pour in chicken broth, salt, dill weed and lemon juice. Bring to a low boil. Cover with tight fighting lid and turn to low and cook for 18-20 minutes. Remove from heat and let stand for 5 minutes covered. 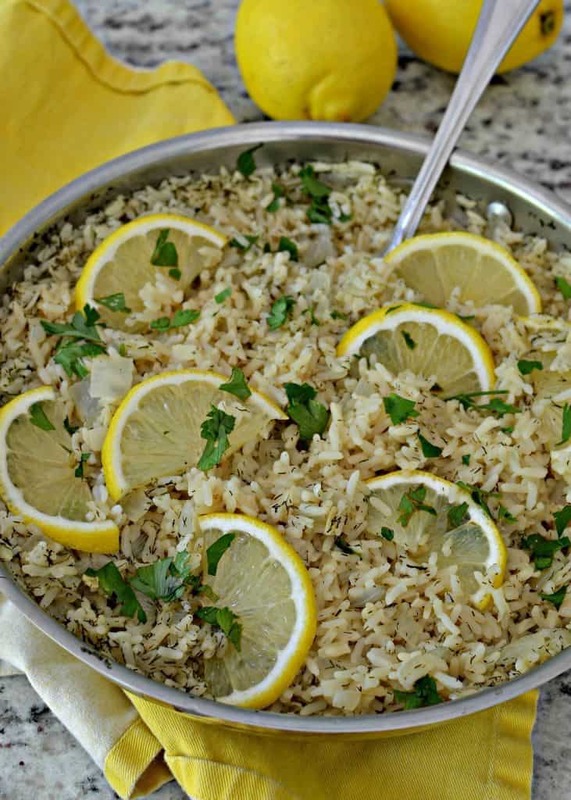 Fluff with a fork and garnish with lemon zest and parsley.